Epic Labs to exhibit at IBC 2018 introducing LightFlow by Epic Labs. Madrid- 02/08/2018 – Epic Labs (www.epiclabs.io), proud member of the DASH Industry Forum and Digital Production Partnership (DPP), is pleased to announce its presence at IBC 2018 introducing a new QoE enhancer media platform known as LightFlow. LightFlow is an easy-to-use platform that enables an enhanced user experience by leveraging advanced encoding techniques using machine learning techniques. LightFlow also introduces ultrafast (real-time) encoding and cognitive services to optimize video streams bringing the best quality of experience for customers. It works either for VoD (file-based) and live streams on DASH and HLS on any device player. LightFlow improves media through proprietary Machine Learning algorithms that analyse content providing the best video quality at a lower bitrate generating an optimal ABR ladder and encoding profiles. Some of the benefits are: minimize rebuffering events, improve video start time (VST), exit before video starts (EBVS) and reduce video start failures (VSF) achieving a best-in-class stream that flows perfectly over any internet connection. A more efficient use of video bandwidth means a lower cost for storage and improving CDN performance, while reducing transcoding costs. LightFlow can be easily integrated on any OTT or live TV Channel workflow by consuming a light and intuitive API and an architecture that allows multiple deployment models (SaaS, on-prem, cloud, hybrid). Customers will get an enhanced QoE, better user engagement and user retention by offering a TV-Like experience. – Per title smart encoding. – Per scene smart encoding. – Advanced media cognitive services: face recognition, auto-clipping, enriched archiving, contextual advertising and content moderation. LightFlow can be deployed on any media workflow and any existing infrastructure either on-premises or on any cloud provider. Epic Labs can also provide the encoding, storage and delivery for any workflow. LightFlow enables a 100% out-of-the-box solution to fit on any workflow or requirement. 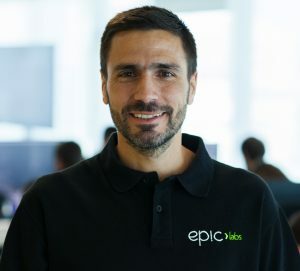 Alfonso Peletier, Epic Labs CEO and Founder: “We have identified a raising demand of OTT providers and broadcasters to improve viewers’ experience: a great image quality and a lighter stream that loads up fast, with no rebuffering events no matter the network condition or device brand. At Epic Labs, we have put an incredible Team of media software engineers, encoding and machine learning experts to create LightFlow with the mission to boost viewers QoE while keeping media workflows costs at bay. We are proud to be at IBC, the best place to be when launching a new product like LightFlow and stay in close touch with decision makers from all over the world.”. In addition to offer attendees the chance for a hands-on demonstration and in-depth information about LightFlow, Alfonso Peletier, Epic Labs CEO & Founder, will be part of the panel “Artificial Intelligence and Machine Learning: Status update” that will be held on Saturday 15th at 15:30 in the Hall 14 Content Everywhere Hub. Epic Labs, proud member of the DASH Industry Forum and Digital Production Partnership, announces that version 2.6.7 of the dash.js player has been released. Several new features have been added in this new version, three of which are particularly important like the new multi-key DRM support, this means that the various tracks that make up a stream, such as video and audio, can each have their own unique DRM systems and/or keys. A new pre-load feature has also been added, providing a great benefit to end-users. This new functionality enables the stream to be loaded despite the fact that there is not yet a place where it can be shown or played on the screen. This is especially helpful because although the user doesn’t know where the stream is going to be played, it has already started to be loaded, so when it gives play to the video it will start instantaneously, improving the usability. At last, dash.js has been equipped with methods to allow the player to run without any problem when playing incorrectly formatted material. In many cases, the players must deal with streams with badly created segments or incorrect internal timing, which causes undesired results or the impossibility to play video. Many automatic features have been introduced in version 2.6.7 to guarantee better tolerance to poorly formatted contents so that dash.js can guarantee optimal playback. The DPP is a Membership-based, not-for-profit organization, founded by ITV, BBC and Channel 4. Epic Labs, a software innovation center focused on the Media space and proud member of DASH-IF, is pleased to announce that has recently joined the Digital Production Partnership. DPP was created by ITV, BBC and Channel 4 to represent Media companies across the entire value chain. DPP is committed to a globalized content creation and exchange market thanks to the Internet and innovation processes. Epic Labs offers Media Engineering services such as real-time video experiences, streaming solutions, consultancy and expertise on CDN solutions, cloud architectures, and also co-engineering and co-creation services. In addition, Epic Labs provides extensive knowledge of Artificial Intelligence applied to the Media industry. 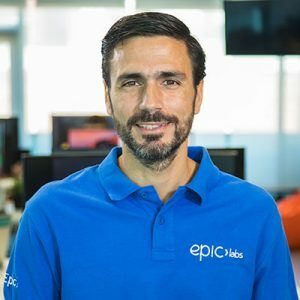 Alfonso Peletier, CEO and Founder de Epic Labs said, “We have found in DPP an organization that brings real value by including key players across the entire value chain of the media landscape, both the more traditional and the most innovative companies. It is the perfect setting for a company like Epic Labs whose value proposal can be consumed by both parties. It is also a framework in which to provide our knowledge of Artificial Intelligence applied to this particular market”. Epic Labs, proud member of the DASH Industry Forum and the Digital Production Partnership, is a software engineering center that helps companies to innovate in Media, offering advanced video solutions and several collaboration proposals in digital transformation. The 4K Summit was recently held at its new location in Málaga, making the Spanish city the center of the Ultra High Definition Worldwide. This third edition was attended by a total of 300 professional visitors from 22 different countries and over 90 companies represented in total, including Epic Labs. At Epic Labs, as an Innovation and Knowledge Center, we want to offer our vision and headlines of this growing event. In the early stages of the event we already found one of the main topics nowadays in our industry: Traditional Broadcast (i.e. Satellite, terrestrial) vs. IP Broadband. Luis Miguel Gilpérez, President of Telefónica, pointed out that video is at the core of their strategy given that Telefónica’s main focus is set on fiber optics, bringing massive broadband to all households. In the case of Spain, 75% of the population has access to this technology used to deliver for high-speed Internet allowing for and additional entertainment offer. Telefónica’s goal is to continue differentiating through the variety and exclusivity of its audiovisual content, and also through the user experience. With regards to its Fusion product (IP broadband, mobile and content bundle), Gilpérez provided several interesting data: 64% of customers consume content through VOD, the smartphone is the most used device with a penetration of 52%. With respect to 4K, Telefónica wants to promote this technology and will therefore release set- top-boxes suitable for this resolution on the second quarter of 2018. Michel Chabrol, Director Marketing Innovation from Eutelsat, provided further insights to Traditional Broadcast and IP Broadband. Chabrol commented that there are currently about 100 channels active in 4K/UHD worldwide, many of them offering experimental content. 41 of them are being distributed via satellite while 56 leverage cable or IPTV platforms, and only two of them are distributed via terrestrial television. This shows that both, terrestrial and satellite television, are clearly threatened by the growth of IP broadband in households. As a result of this, Eutelsat are looking for alternative markets. Michel Chabrol presented in Málaga a project towards the luxury hotel sector, to distribute premium content in 4K. Peter Gray from IHS Markit presented a market study on the state of 4K/UHD penetration in homes. Gray revealed that China is the country in which more 4K television sets are being sold and where it seems to be a greater interest in this technology, they are indeed opting for larger screens. In China, 66% of the television set sales have a screen larger than 40”. USA holds the second position and below Western Europe. In that sense, there is a clear gap between the countries that are producing lot of 4K/UHD contents and those that are consuming the most. Europe has 32 channels, USA has 13, APAC has 10 and Japan 5. Regarding 8K, China and Japan are the ones where there is more interest in the consumption of a resolution like an “IMAX at home” as Gray himself defined. One of the main speakers, Carlos Fontanot’s, Imagery Manager ISS at NASA, attended the 4K Summit through a live video conference from the Johnson Space Center in Houston. The ISS is permanently generating audiovisual content, more than 3.5 million photos and thousands of hours of video through 6 HD channels are generated each year. The ISS is like a small production area that flies at an altitude of 400,000 meters and at a speed of 28,000 kilometers per hour. They have different types of cameras for this purpose, from the small GoPro Hero 3 to a Red Epic Dragon. Transmission to Earth is made via Ku Band at a bit rate of 300 Mbps, the 4K signal is encoded in four HD-SDI 1080P outputs. NASA has a 24/7 4K channel to broadcast this type of material and it was in the past that NAB of Las Vegas was the first 4K live broadcast from the ISS. Winter Olympic Games are being held in 2018 and two years later it is Tokyo’s turn, where it is expected that substantial changes will be introduced in the workflows and the technologies used, there is really a lot of expectation generated. There where two very interesting panels at Málaga focused on that; first, Peter Hutton, CEO of Eurosport, explained the vision and commitment of this channel on Pyeongchang 2018. The platform will be betting on live VOD coverage through Eurosport Player, a multi-device OTT service where viewers will be able to follow instantly everything that happens. It is estimated that the coverage will provide about 4,000 hours of content being 900 of them broadcasted live. 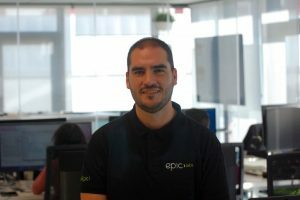 And then, Guillermo Pérez, Engineering Director at OBS, focused on the implementation of 4K, something that is already in the International Olympic Committee (IOC) roadmap in the medium term. OBS will continue producing the main events in HD because the quality of the final product cannot be compromised, UHD is not mature enough yet to replace HD in live productions. However, he did confirm that by Tokyo 2020 they are working hand in hand with the Japanese NHK to achieve a greater implementation of 4K, this will be possible given the better management of UHD signals that leverage IP technology and, therefore, this resolution will have more prominent. Guillermo Pérez said also that it is essential to offer customers as many formats as possible with the utmost security. There are several attempts to normalize the correct deployment of the UHD, a good example of this are associations such as the UHD Alliance. At the 4K Summit, they set out the need for agreement on what kind of standards to use and recommend to deliver master contents always in 3840×2160 resolution at 10 Bit, using BT. 2020 and ST2084 EOTFF for HDR as color space. Regarding the situation of broadcasters, Massimo Bertolotti, Director of Innovation and Multimedia Distribution at Sky Italia commented that the UHD cannot remain only in an improvement of the resolution, but it is essential to offer a better user experience and that is where the HDR along with the IP have a very important role. For Bertolotti it is not necessary to bear in mind that many of the televisions with 4K capacity that are currently being bought do not have enough bits to incorporate HDR, that´s why SKY decided to work with HDR HLG asit does not require a higher bitrate as other options and has, therefore, good levels of compatibility. They are also testing virtual reality experiences through Sky VR, an application available in all countries where the platform operates. There is no doubt that one of the most awaited presentations was that NHK offered through its Producer for the Global Content Development Division Hidenobu Miyazaki, in Málaga we were able to enjoy several demonstrations of the work being done by the Japanese broadcaster in both 4K and 8K. With Tokyo 2020 in mind, Miyazaki revealed that at the end of 2018 they want to broadcast eighteen hours of content per day in 4K and twelve hours of content in 8K on a sustained basis. He also clarified that for current productions are using RED cameras as an element of capture. And finally, NHK is working on building an 8K mobile unit next year that will record content in different countries. There was also time to talk about over the top television. In a panel discussion involving Amagi, Movistar and Akamai. Although, this roundtable focused on the user experience. Several of the problems that are established in this environment discussed such as the improvement of the distribution of live content, and opting for a business model that can be sustainable for all and not just for a few. Leaving as a conclusion that the on-demand content is experiencing a very strong growth in recent years and continues to accelerate. Epic Labs is pleased to announce that version 2.6.3 of dash.js reference client has been released. This new version comes with some stability enhancements. Changes are mainly related with improvements in the management of multi period streams and in the Adaptive Bitrate Algorithm (ABR), apart from general fixes focused on increasing the robustness of the client. This new version also comes with enhancements related with DRM management, which is supported through browser’s Encrypted Media Extensions. Most of the work in this has area been focused on implementing new features and fixes related with PlayReady support. Smarter Buffer Management. A dash.js stream is composed by small chunks that need to be fetched, cached and decoded smartly in order to use browser resources (bandwidth, memory, CPU) efficiently. Continuous Integration. We want to reduce the time that takes going from development to release. For achieving that, one of our main goals is setting up new procedures that will ensure this won’t impact on quality or stability of dash.js releases. New features. More and more features are defined by DASH IF IOP and dash.js will continue being the reference client for them. In the coming releases we will add support for Thumbnails & MPD Chaining to dash.js. Jesús Oliva, Founder & Media Lead Architect at Epic Labs: “We are launching a new version of dash.js every month, always ensuring each release reach the high quality level required for a project that is used daily by millions of users. Part of the work that we are doing is focused on reducing the time that takes putting in production new changes. In addition to our enhancements in the number of unit tests we are implementing automated functional tests that will evaluate the player as if it were a person using it. Everything with the goal of having a real continuous release environment”. Epic Labs is member of the DASH Industry Forum.